SELF LOVE: "AM I NOT PRETTY ENOUGH?" Before I start this I just want to say that you are beautiful. I know its super cringe but I'm serious, you really are. This week I wanted to do a personal post, something real. 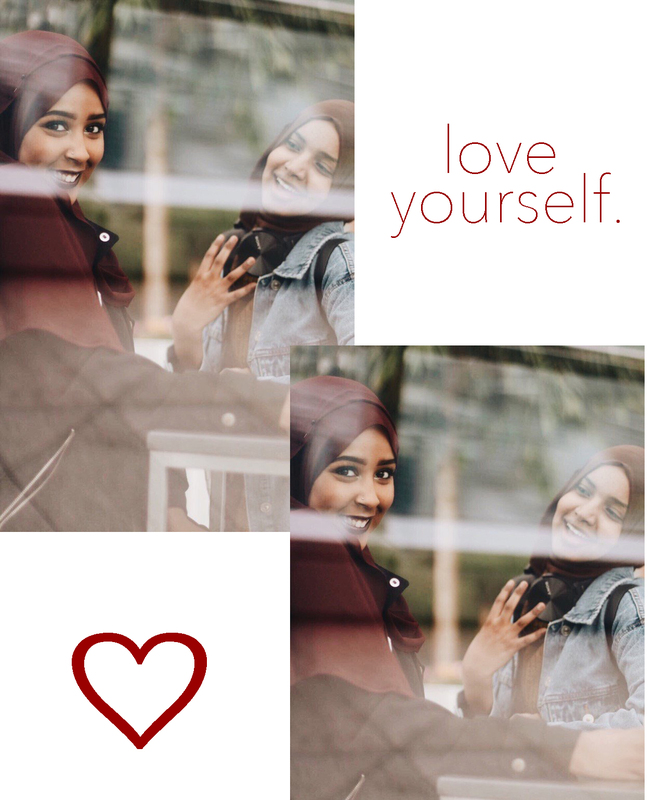 I know it's different from my usual "HOW TO.." posts but I thought i'd share my thoughts and experience with self love. We are constantly surrounded by society's definition of beauty standards and I hate what those standards are doing to young girls (and boys). When did we become so obsessed with how we look? When did we start valuing looks over character? Yesterday it was big buts, today it's big lips, what's tomorrow's obsession going to be? Honestly, I can't keep up. I remember back in school, being so carefree and not knowing or even caring about make up - my biggest concern was rushing to the line to get my tuna baguette! It's crazy how things have changed. I was running errands the other day and noticed a group of school girls and I'm not kidding when I say this, but if it wasn't for the uniform you would think they were at least 21 years old. Sharp eyebrows, thick foundation, overdrawn lips, 14 year olds don't look 14 anymore! When I was 14 I had just learnt what a mascara was - but then again I wasn't exactly "girly" so I'm not sure I even count haha. It's normal to compare yourself to other girls - whether it's on Instagram or on TV - but the moment you start doubting yourself and think less of yourself, it becomes unhealthy. You need to understand that you are you, you are enough and you are perfectly imperfect. Beauty should never be measured by the amount of makeup you wear. Beauty is more than that. Beauty is how you treat others, beauty is how you carry yourself, you must be beautiful inside and out. It truly saddens me to see young girls doubt themselves and feed into their insecurities just because they don't fit into society's definition of 'beauty." Believe me, I've been there and take it from me when I say it can completely consume you. You might be reading this and think "Thats it?" but for me that was it. It was as if a light bulb switched on in my head like in those 90s movies, and at that very moment, it all made sense. How can I expect someone to fall in love with me if I don't love myself? How can I expect someone to see the beauty in me if I can't see it for myself? My only advise would be to love yourself and be the best version of you, that's the only way you'll find happiness. Sometimes all it takes is a small trigger. For me, it was a cheesy quote on Tumblr, for you, I hope it's this post. Ps, in relation to this post, i was featured in a short documentary recently, and i can't wait to finally show you!! It's called "Beauty Standards Around The World" Click here to watch the documentary. Shoutout to friend Safia who worked incredibly hard on the documentary! She filmed, interviewed and edited the entire thing on her own!! Isn't she amazing?